Get Them Looking New Again! beautiful historic homes and businesses our area has to offer. Our knowledge, quality of workmanship, machinery and products we use cannot be compared. 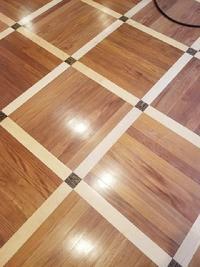 The only GREENGUARD certified hardwood flooring finishing system in the industry. Do I need to vacate my house? 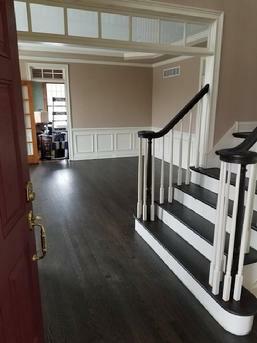 Can I select a new color for my floor? Absolutely. Visit our Stain Colors Page We will provide you with a selection of stain samples on your actual sanded floor to choose from. 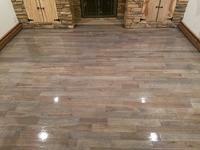 You can also choose "natural" and instead of stain a sealer is applied to leave you with the natural color of your wood. When will I be able to use my floor? 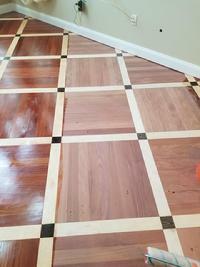 - You will be able to walk on your floor with socks 3 hours after staining or coating. - Furniture can be returned after 72 hours. It should be placed, not dragged on your new floor. - Area rugs can be returned 2 weeks after completion. 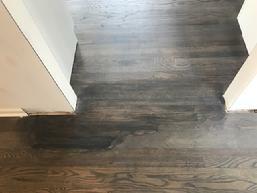 What should I look for in a refinishing company? Skilled knowledgeable craftsmen. A clean appearance and trucks. Someone who takes pride in their appearance will take pride in their work. A contractor should welcome questions and communication. This is always a good indication of the quality of service you will receive. 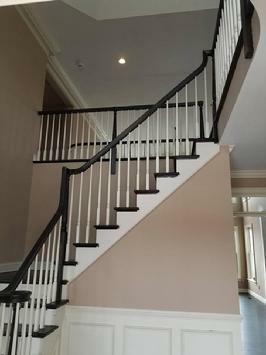 A good contractor will include you in the stain and finish selection process and keep you informed during your project. It is important to know what products are being supplied and the condition and type of equipment used. Insist on Dust Containment System where the equipment is connected to a dustless vacuum and products that are low in VOC to make a safer environment for your family. Most companies use subcontractors for their refinishing - Why should I always ask if a company uses subcontractors instead of full-time payroll employees? Using subcontractors obviously creates inconsistancy from one job to the next, communication issues and lack of knowledge about your project. Most subcontractors have a revolving door of staff so you don't know who is showing up to your home, if they are properly insured, trained or have a criminal history - the company you hired might not even know. Most importantly, what many people don't realize is that if a company does not pay their subcontractors, or there is discrepency over the amount owed, that subcontractor has the legal right to come back to you, the home owner, for compensation - Regardless if you paid the initial company or not! Without a doubt, it is best to use a company that only uses in house fully insured employees. 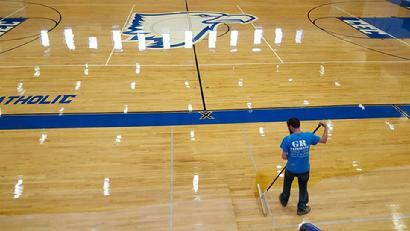 Improperly refinished floors with poorly maintained equipment can leave machine marks and rippling in your floor. 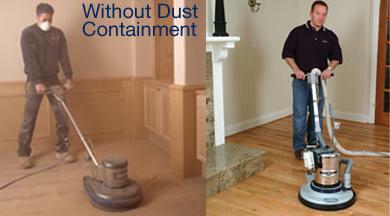 Dust emitting machines will leave a dusty messy environment and that airborne dust will settle and remain in your finish. 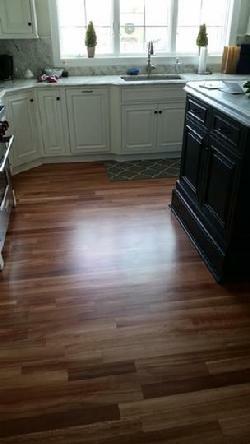 Low quality finishes can result in peeling and beading and reduce the longevity of your floor. 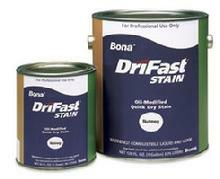 You can be left with a smelly environment for weeks and an unsightly finished product. G R Flooring's equipment goes through quarterly inspection and preventative maintenance to ensure optimal performance and provide the best possible outcome. 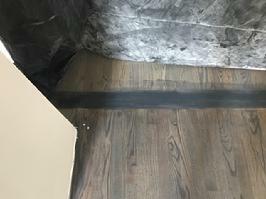 The first three Before Photos show a completed stained refinish by a general contractor's "floor guy" - and show what can happen when an inexperienced contractor attempts to refinish floors. The last three are After Photos of our correction. Unfortunately, this is an all too common occurance and we are frequently recruited to do a correction - adding headache, inconvenience, time and expense to a customer's project. This is due to the lack of experience, lack of product knowledge and heavy expense required to purchase and properly maintain equipment and retain skilled technicians. As a result most contractors aren't adequately prepared to perform this process. 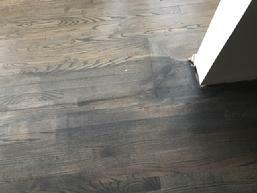 When should I get my floors refinished? 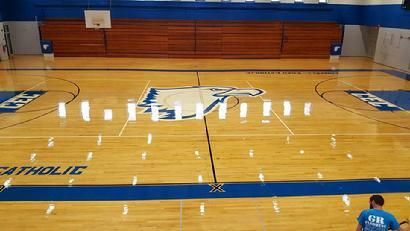 The left side of the picture shows the original color of the wood, which was protected by an area rug. 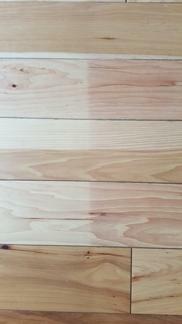 The right side shows the wood after 4 years of moderate non-direct sunlight exposure. Commonly referred to as "tanning" or "aging" wood that has been exposed to sunlight will change in appearance, often the wood gets darker, or takes a yellow/orange/red appearance. UV tinting on windows and a floor finish with UV protection can help reduce the effects of sunlight and minimize the color change of wood. 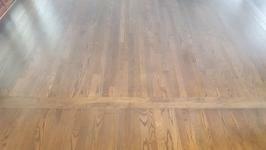 The next generation of wood floor protection that preserves the true natural look of hardwood floors. 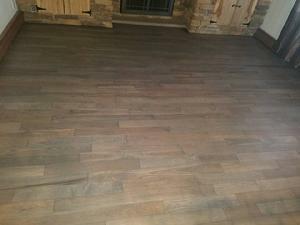 This waterborne commercial and residential hardwood floor finish will get you as close to an untreated look and feel as possible while still providing your floor with a durable surface. 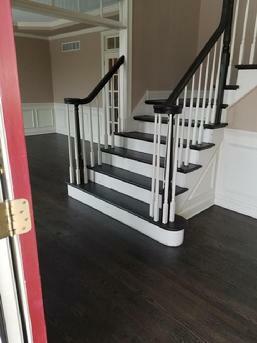 Elegant look and noticeably unique feeling underfoot give this finish superb, Traffic-like durability, and because of its natural look, scratch marks are less visible. 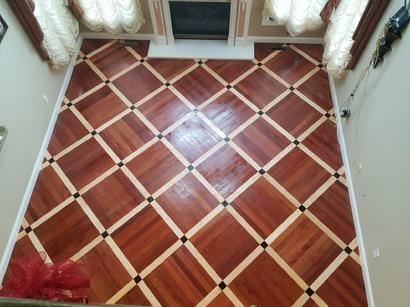 What a difference refinishing can make!